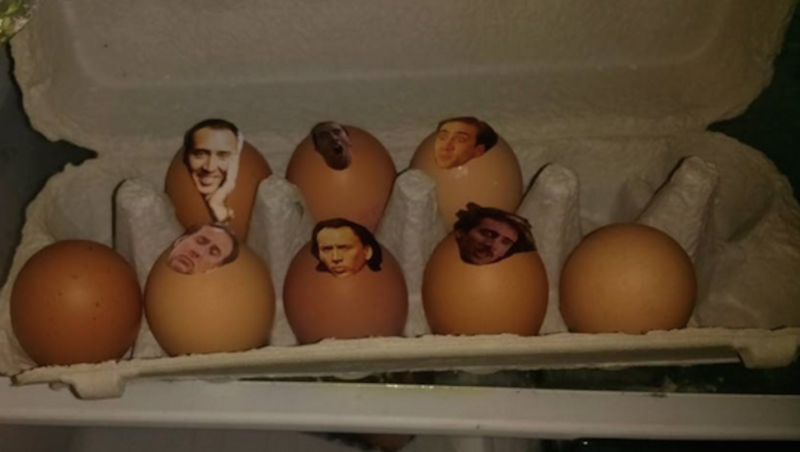 Nicolas Cage is an American treasure and the target of this Nicolas Cage-themed prank should consider themselves lucky. 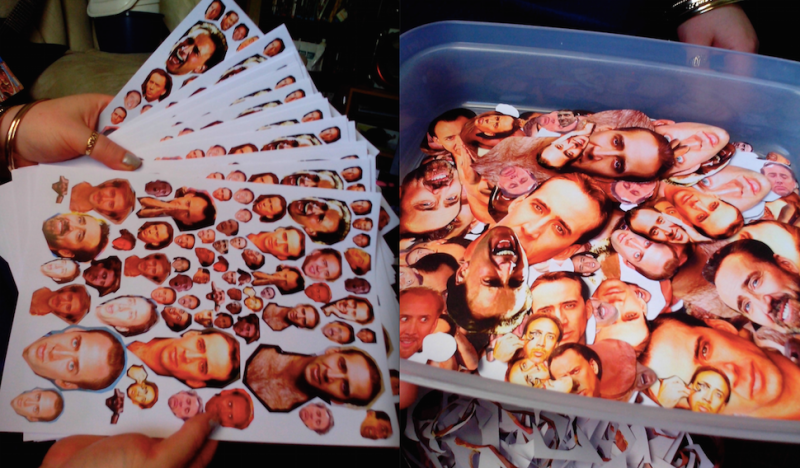 Imgur user Timbo57 documented the labor-intensive prank, which involved hundreds of tiny Nicolas Cage heads and one very devious prankster. 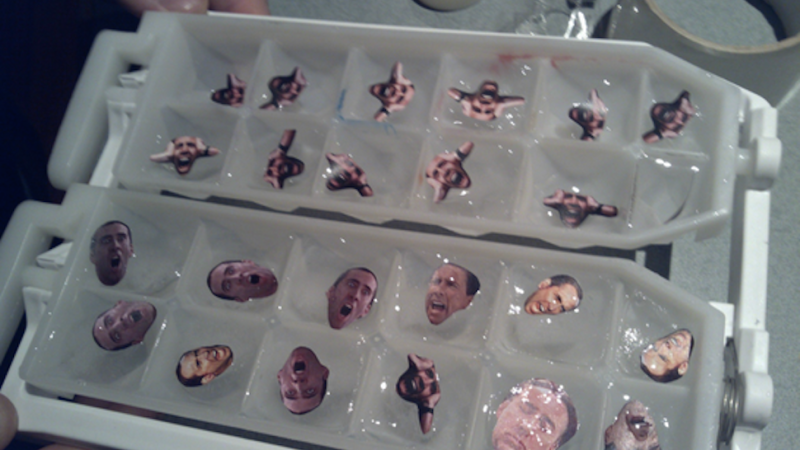 He blanketed his friend's house, replacing all the photographs with Nicolas Cage, sticking Nicolas Cage ice cubes in the freezer, and filling his socks with handfuls of Nicolas Cage. 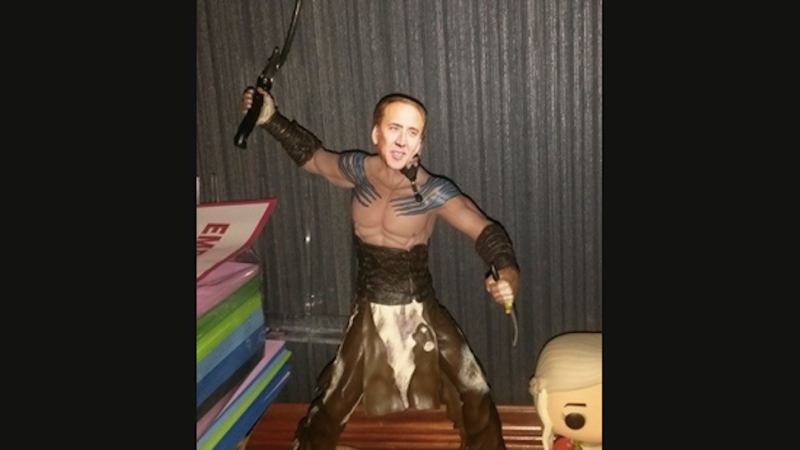 He even stuck a photo in the battery compartment of his friend's remote. The end result is a prank that keeps on giving. 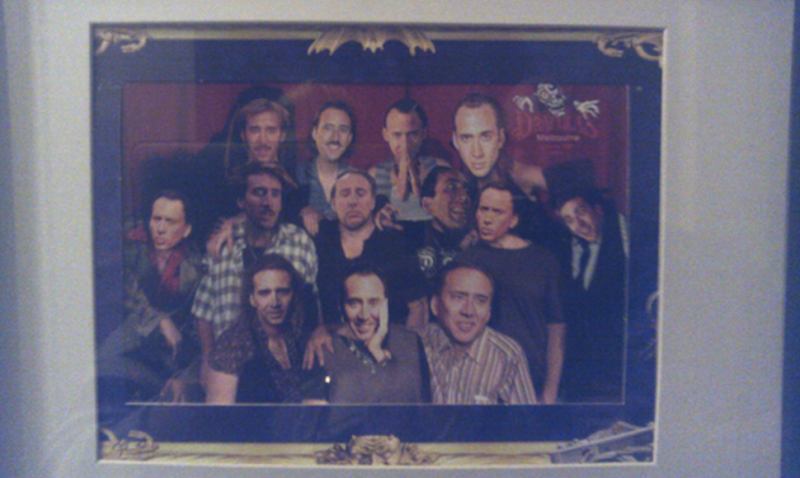 With any luck, his victim will be haunted by Cage's wide range of terrifying facial arrangements until the day he dies.